26th December 2002: Boxing Day Walk. Ride report by Frank Feinberg (Lancaster CTC Section Press Officer). The annual Boxing Day Walk was led by Simeon Orme. 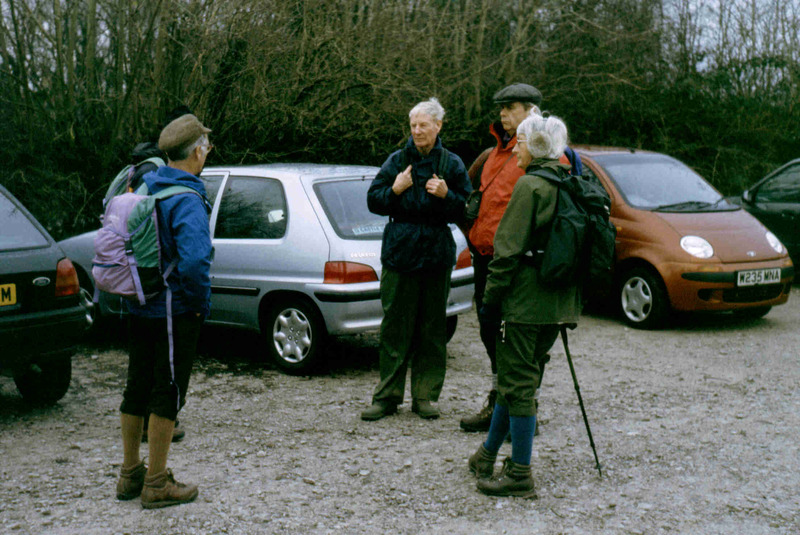 Nine members from Lancaster CTC Section and the Rough-Stuff Fellowship's South Lakes Group met at the carpark outside the Leighton Moss RSPB centre and set off towards Slackwood Farm. There they met James and Steven Parkinson who had walked from their home in Silverdale, bringing the total in the party up to eleven. The group followed the road to Fleagarth Wood, then the path down to the shore and round to Jenny Brown's Point. 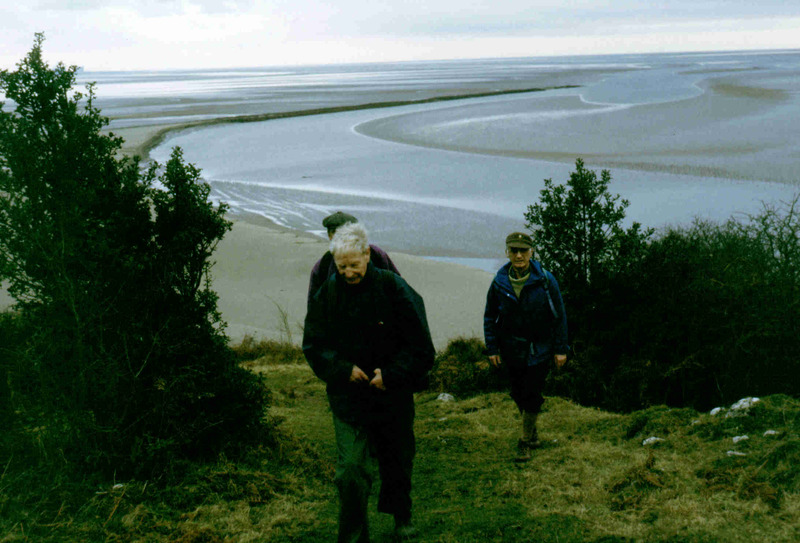 With Pat Lloyd, national President of the Rough-Suff Fellowship in the lead, they took a detour around Jack Scout to look at the fine views across the Bay, then continued to Gibraltar Farm, Silverdale village and through the field to Red Rake and the Cove. They then followed the path through the caravan site to Priory Cott for lunch. The afternoon route took the walkers along the path to Far Arnside and New Barns Bay, then Arnside Knott Wood, Arnside Tower Farm and through the woods to Far Waterslack, Challan Hall and Hawes Water Moss to enjoy fine views of Hawes Water. At Red Bridge they returned across the fields back to Leighton Moss, from where the members set off home after an enjoyable day out.